The College of Social and Behavioral Sciences (SBS) scholarship application process is now open until February 26, 2019. Check the information listed for each scholarship or award. Awards are applied to tuition and fees for the following fall and spring semesters. By submitting this application, you grant permission for SBS to verify the information you provided and share your application with your scholarship donor if selected to receive an award. In addition, all recipients will be asked to submit a picture, short biography, and thank you note, that we will send to your scholarship donor. If you want to apply for multiple scholarships, simply use the “go back” button in your browser (Firefox, Internet Explorer, Google Chrome) after you submitted the first application. Your data entry should still be on the form and you only need to select the next scholarship in the drop-down menu. Other social science majors and general scholarships are available through the NAU Foundation Scholarship e-application December through January 25, 2019, on the NAU Foundation website. Apply for NAU Student Financial Aid scholarships on the website of the Office of Scholarships and Financial Aid. Also, complete the Free Application for Federal Student Aid (FAFSA) because most financial awards cannot be given to you unless a FAFSA is in your records. The College of Social and Behavioral Sciences (SBS), the College of the Environment, Forestry, and Natural Sciences (CEFNS), and the College of Engineering, Informatics, and Applied Sciences (CEIAS) announce the Maxwell-Lutz Community Impact Award for teams to submit proposals for consideration. Funding of up to $5,000 annually may be awarded to one team or shared by multiple teams. A proposal, developed and submitted by one or more faculty members, must specify the following for consideration for funding. Please visit the Maxwell-Lutz Community Impact Award website for more detailed information and to access the online application. The annual scholarship award will be dispersed one-half for fall semester and one-half for spring semester to one student enrolled at Northern Arizona University. how the applicant faced major life challenges and is making an effort to overcome them. Preference will be given to those who provide a letter of recommendation, and that letter may be from an advisor, a professor, or another source. Recommendation letters can be sent by email. Please send a brief description of the need for funding and a rough budget. You will need an endorsement of your committee chair. Please send a brief description of the need for funding and a rough budget. You will need an endorsement of your mentor/committee chair. preference will be given to students demonstrating a clear career oriented interest in Ethnic Studies or Applied Indigenous Studies. Scholarship may be renewed if the student remains in good standing. Preference will be given to a student with career plans in cultural resource management in the geographical region where PaleoWest operates, i.e. California, Arizona, New Mexico, Colorado, and New York. 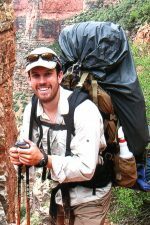 This scholarship awards a full-time or part-time graduate student enrolled in Northern Arizona University’s Department of Anthropology. On the ANTHROPOLOGY SCHOLARSHIPS & CAREER DEVELOPMENT page see the information under Funds Available Exclusively for Graduate Students. preference is given to members of the Dine’ or Navajo Nation. Be sure to complete the Free Application for Federal Student Aid (FAFSA). Various scholarships are available to students who have declared majors or minors in the School of Communication. Be sure to complete the Free Application for Federal Student Aid (FAFSA). The School of Communication application deadline is now closed and will re-open in December 2018. United Way of Northern Arizona and the League of Neighborhoods (representing the Sunnyside Neighborhood Association of Flagstaff, Inc., the Southside Community Association, Inc, and La Plaza Vieja Neighborhood Association, Inc.) established this scholarship to support and encourage future leaders in community policing who are working toward a degree in Criminal Justice at Northern Arizona University. sign a pledge they are drug-free. Students that continue to meet the award criteria may reapply for this scholarship. This scholarship is used to provide students with educational research, exemplary scholarly and creative projects. Contact the Department of Criminology and Criminal Justice to apply. CJ 345 Writing Competition recognizes excellence in writing and depth of understanding about cultural differences. There are two writing competitions—one in fall and the other in spring. Awards range from $300-400. Contestants must be enrolled in CCJ 345 and have full-time status at the time of application. 500-word essay that describes an outdoor experience, which includes them or one or both of their parents. The essay should stress the importance and benefits provided by outdoor recreation in creating and strengthening positive family values and relationships. This Fund is established by Steve Chatinsky, owner of Peace Surplus, a Flagstaff Outdoor Specialty Store. Over the past thirty years, Mr. Chatinsky has had the opportunity to employ many NAU students. He has continued to follow the careers of his former NAU employees and is most impressed by their remarkable achievements. This fund shall be used to provide scholarships to support students in the College of Social and Behavioral Science, Parks and Recreation Program. Recipients will ideally either have part-time employment (or engage in volunteer activity) related to some facet of their studies. Honoring a live well lived! Joe Rommel passed away July 14, 2009 following a tragic motor vehicle accident near Sunset Crater. He lived and worked in Flagstaff while attending NAU. He was majoring in Parks and Recreation at the time of his death. He worked for Babbitt’s Backcountry and pursued his love of outdoors as a guide for Grand Canyon Hikes. He selflessly gave many hours to the Coconino County Sheriff’s Search and Rescue and developed lasting friendships with the many volunteers he worked with. 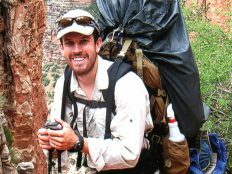 The Joe Rommel Memorial Scholarship is to be awarded to a full-time student who is applying for the Wilderness First Responder certification. It will cover the cost of applying for the certification and all required supplies. Students must meet the criteria . Parks and Recreation Management major, Junior or senior with a strong interest in outdoor leadership. Unmet financial need as determined by the Office of Scholarship and Financial Aid. Free Application for Federal Student Aid (FAFSA). Submit a letter of interest that outlines previous work or volunteer experience that relates to the improvement of human life that does not hurt the environment and/or the conservation of our natural environment. This letter should also include career goals relating to political science or international affairs with an interest in human rights and/or environmental conservation. Preference will be given to politics and international affairs majors. Award recipients may not reapply. This award provides support to psychological sciences graduate students for thesis research. Applications are available at the NAU Psychological Sciences department, SAS building #60, 3rd floor, room 333. Selections will be made by a committee including the Department of Psychological Sciences Graduate Coordinator and the Chair. Applicants should write an essay about their future educational goals; honors or awards; college clubs, organizations or offices held, community service, and any additional information that makes them an outstanding Sociology student. Demonstrate an interest in women’s or sexuality issues. More scholarships for our college are available through the NAU Foundation. The application is now open and will close at 11:59 pm on January 23, 2019. To apply for these scholarships, please visit the NAU Foundation scholarship application website. Many companies, foundations, and organizations offer private scholarships with varying criteria. The scholarships listed on this page are not offered or administered by NAU. Please review eligibility criteria for the hundreds of awards listed on the private donor scholarships link below. This is not an exhaustive list of the awards available to students and opportunities vary each year; NAU strongly encourages students to research and plan ahead. The Office of Financial Aid and Scholarships at NAU compiled over 300 private donor scholarships. Many companies, foundations, and organizations offer scholarships with varying criteria. The scholarships listed below are not offered or administered by NAU. To find more scholarships, please search for college scholarship on the internet. We will keep updating this list. 2018 Scholarship Essay Topic: Tell us about your entrepreneurial experience and how this scholarship would help achieve more growth for you and our economy. Scholarships are offered every December 15th and July 15th. Winners will be announced in Fall and Spring of each year. For complete information on how to apply, please visit the Cardinal Digital Marketing website. BeActive Health & Fitness Scholarship: Scholarship details: BeActive.com.au is proud to offer a scholarship to students around the world who are enrolled in higher education programs. Details on eligibility, funding and how to apply can be found below. Application Deadline: January 1, 2019. Visit BeActive.com.au for more details. Eligible students: Senior High School, Undergraduate and Graduate students who will be attending an accredited university or college. An essay of at least 500 words that outlines your philosophy on how to maintain a healthy mental and physical existence. 2) A list of your academic or non-academic achievements. Must be a student attending an accredited university or college to complete a undergraduate or graduate qualification. Must have completed at least 7 credit hours. Applicant information will remain private and will not be shared with third parties.